Workers dry fish under the sun in Poyang county at Poyang Lake, Jiangxi Province, November 2017. Poyang Lake, located in the north of Jiangxi Province, is the largest freshwater lake in China. It fluctuates dramatically between wet and dry seasons, from 3,500 square kilometres down to about 200 square kilometres. The lake provides a habitat for half a million migratory birds. Andrew S.T. 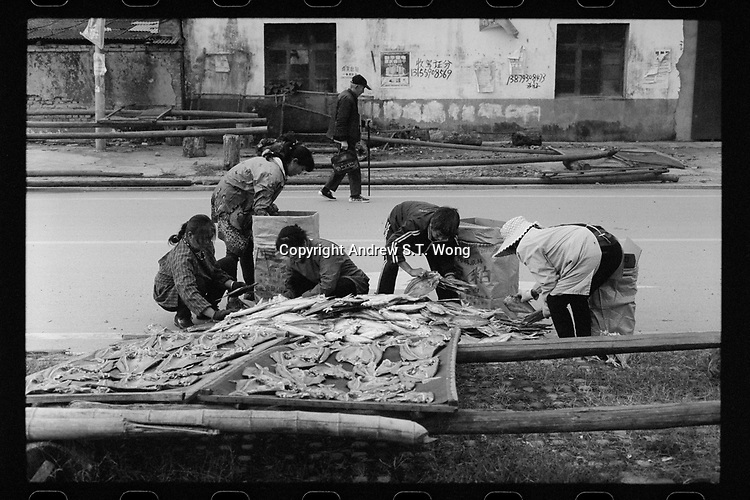 Wong (王身敦) is a British Chinese photographer with a focus in the China region. Andrew is currently living in Beijing.